For many young South Africans 2019 is the year they venture into the unknown world of university or varsity. For some it will prove daunting and for others a blur, but all will be excited by the prospect of taking their next step towards adulthood. University or varsity is also the time in your life where some of the best memories are made, and as such, you need a device capable of not only capturing those moments, but keeping the memories of those moments safe. With that in mind let’s look at some of the great options available in Samsung’s Galaxy A series, which is quickly becoming the best value for money smartphone lineups on the market today. Considering it’s a new year, why not grab one of the new Galaxy smartphones. To that end Samsung has two to offer – the Galaxy A7 and Galaxy A9. Both of these devices have interesting camera setups, but let’s touch on the Galaxy A7 first. 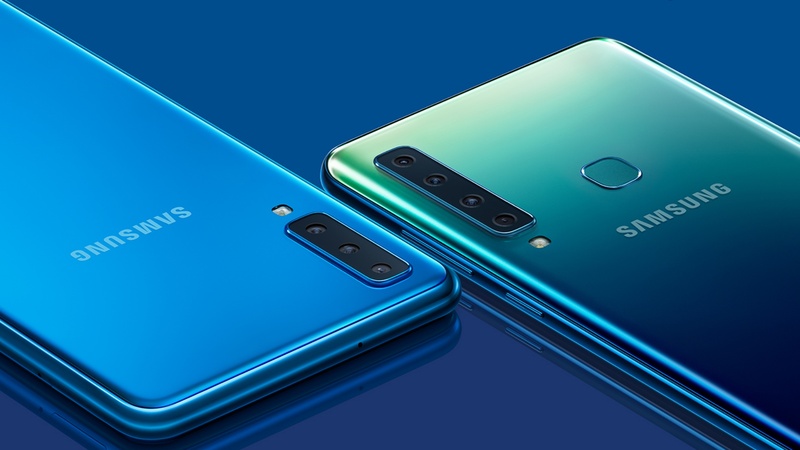 This particular model is sporting a trio of cameras on the rear to deliver a camera performance you’d normally expect to see from a flagship phone. The Galaxy A7 triple lens setup consists of a 24MP, 8MP and 5MP option. The former takes care of most of the imaging, with the 8MP one for wide-angle photography and 5MP for depth sensing. The upshot of this setup is that images will not only be richly detailed, but also capture larger environments, as well as creating that coveted bokeh effect for portraits. As for where you’ll be storing said photos, the A7 has a sizeable 64GB of storage to call upon, but should that not prove enough, the phone has a microSD slot good for up to an extra 512GB. It also costs a recommended R8 499, which is great value for money by premium mid-range phone standards. Should your budget be a little larger, the Galaxy A9 is an option worth considering at R11 999 (RRP). The extra cost is justified though, with Samsung upping the number of lenses on the rear to four. This quartet is made up of the same trio that the Galaxy A7 does, but adds a 10MP lens with two times optical zoom to the mix. The camera up front is nothing to shirk at either, with a 24MP option taking care of all your selfie needs. Shifting focus back to the rear, if you’re into recording video as well, the Galaxy A9 can capture up to 4K (3 840 X 2 160) content, which should certainly come in handy should you be aiming to record a particularly memorable moment. Like the A7, the Galaxy A9 is not lacking when it comes to storage. It has a whopping 128GB of space onboard, with the microSD slot capable of housing an extra 512GB. When it comes to camera quality and storage capacity alike, the Galaxy A7 and Galaxy A9 are both well-equipped and should certainly serve as worthwhile tools to not only capture memorable moments in all their glory, but store them securely too.